Microsoft’s newest Windows software update will now have a ‘Driving Mode’ feature that will automatically silence incoming text messages and phone calls while users are driving. What’s appealing about this new software is that it is automatically activated when a phone is linked wirelessly with a car’s Bluetooth device. The application can also be configured by the user to automatically send out a reply text message that says “I’m driving.” Though the feature will minimize the amount of distractions by blocking calls and texts, it will not be able to block outgoing calls or text messages. Still, Microsoft hopes that the new feature will encourage safer practice on the roadways and hopefully prevent cellphone-related accidents from occurring. The update, which is the third update to the Windows 8 software is accessible to all Microsoft devices and will be available within the next coming weeks. While this new software is a proactive approach to preventing distracted driving incidents, what drivers must understand is that they are the only ones who can prevent an accident. More and more, people are using their smart phones while driving; to access the Internet, to send an e-mail, to check Facebook or Instagram. The Commonwealth of Massachusetts has established a zero tolerance policy when it comes to texting and driving and does not permit the use of a smart phone for any purpose except for making a phone call. While individuals over 18 are allowed to talk on a cell phone while driving, all drivers, no matter what type of license they carry are banned from text messaging while operating a motor vehicle. 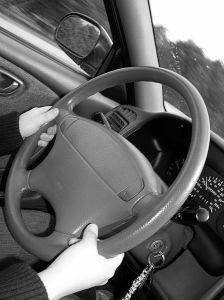 Distracted driving accidents account for nearly 20% of all motor vehicle collisions in the United States. In 2011, 3,330 people were killed and 387,000 were injured in as the result of distracted driving. A person who is texting or using a smart phone while driving is 23 times more likely to get into an accident than someone who is not distracted. 5 seconds is the average time a person’s eyes are taken off the road while texting, according to the United States Ad Council, and at 55mph, that’s the equivalent of driving the length of an entire football field blindfolded! Many states across the country have legislated laws that ban texting and adopted graduated licensing systems to prevent and raise awareness of distracted driving, yet the best way to decrease distracted driving accidents is for drivers to avoid distractions altogether. Remember that distracted driving accidents are almost 100% preventable. If you’re a parent with teenagers, speak to them about the dangers of distracted driving, and set a good example while you’re driving by not answering or making phone calls, text messaging, or using your smart phone.